Natural treatment of children in the Czech sanatoriums has a long tradition. It is based on the use of natural healing sources in combination with clima-therapy, rehabilitation, and other modern medical methods. Children are treated in specialized health centers with new modern balneological pavilions. Here, teams of experienced doctors, physiotherapists and nurses help them on their road to recovery. Children’s health centers in the Czech Republic are usually part of specialized health resorts. Undoubtedly, while maintaining a high quality of services, it is necessary to keep in mind some aspects of child’s treatment in the Czech Republic. First, not every Czech health spa offers treatment programs for children. This is primarily because procedures given to children are strictly limited to adults. Also, children’s programs need to have a specialist present, for example, pediatricians. Without this, the Czech Ministry of Health simply does not certify the corresponding sanatorium for child treatment. Secondly, each sanatorium establishes the age limit independently. This is based on the availability of personnel and equipment. For example, the Teplice spa offers treatment for children from 18 months of age. Meanwhile, Luhacovice offers therapeutic programs for children from 3 years. Third, according to the law, a close relative should accompany the child when applying for the procedures. Usually, it’s a parent or grandparent. It is important to understand that if only one adult accompanies the child, for example, the mother, then the treatment of both is impossible. It is because during the main time of the procedure the mother must accompany the child. Exceptions are possible if the specialists of the resorts pick nannies who can either accompany the child to the procedures or follow the child during the procedures of the mother. And of course, the most important factor in choosing a place of treatment is a diagnosis in case of treatment or prevention. The range of curative programs for children is quite wide. From prevention and enhancement of immunity to the treatment of children with congenital neurological diseases, for example, cerebral palsy. 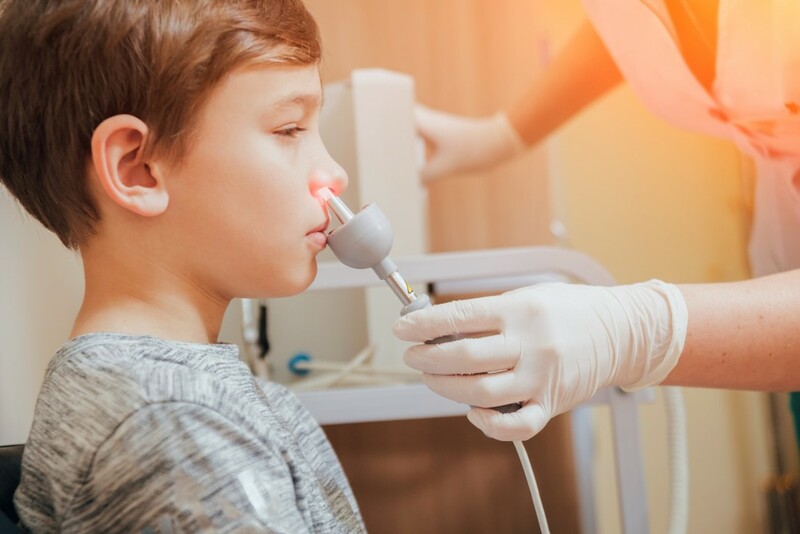 The main indication for treatment of children in the Czech Republic is the treatment of respiratory diseases. Diseases of the respiratory tract in childhood are among the most common. To improve the health of the child, doctors recommend changing the climate, daily regime and eliminate allergens. Therefore, the ideal place for recovery is a resort. A beneficial influence on the course of the disease is provided by a stay in a clean resort environment. Moreover, by drinking treatment, inhalation of natural mineral waters and respiratory rehabilitation. Spa treatment of children is carried out according to a comprehensive program that takes into account the diagnosis and spa treatment program. This includes drinking treatment, inhalation therapy, rehabilitation, hydrotherapy, etc. Spa treatment helps to improve health without the side effects of medications on the children’s body. The environment affects the health of a child positively and strengthens his immune system and psyche. For your child’s treatment to be effective, you need to remember a couple of things. For example, it is necessary to plan the trip well in advance and select an appropriate program. Moreover, the transfer from the airport of arrival should also be taken care of. One must not forget a doctor’s report on the child’s health as well as the medicine taken. For arranging your child’s treatment in Czech sanatoriums please contact us.